This is a city growth animation of the buildout of Lower Manhattan from 1840-2020. This movie shows the buildings that exist today that have been built since 1840. 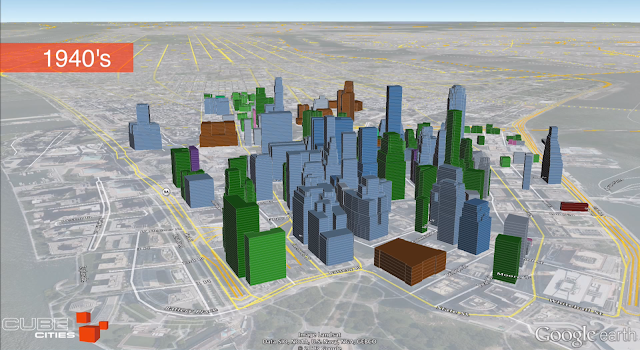 This is a floor-level visualization that shows floors appearing as the years pass and eventually begin to cover the southernmost part of Manhattan Island.